Bruhat Bengaluru Mahanagara Palike (BBMP) will form a committee to investigate the A khatas issued by its officials for revenue sites across Bengaluru. BBMP took this step in the wake of complaints by many corporators on A khatas being issued by BBMP officials for revenue sites or revenue pockets, for a hefty bribe, allegedly between Rs 50,000 to 5 lakh, depending on the size of the plot. On May 28, 2014, BBMP Council Meeting saw high decibel discussions, when BJP Corporator from Kacharakanahalli ward, Padmanabha Reddy, took up the issue. He showed the documents and khata certificates issued recently to revenue sites owned by unnamed residents. Reddy pointed to the fact that the Assistant Revenue Officers who issued the khata took cover under an old but irrelevant notice by the Commissioner. Many other corporators like Manjunath Reddy (Madiwala), M Nagaraj (Nandini Layout) and Gangabhairaiah (Dr Rajkumar Ward) too joined the issue, by highlighting that the lands that don’t even have Conversion Certificate, have been issued the A khata without DC conversion certificate, and the whole scheme looked like a racket. Deputy Commissioner – Revenue, I. Ramakanth, called to respond, refuted it, saying no such thing was done, and officials did not ask the AROs to violate rules. Padmanabha Reddy countered it by showing a newly obtained A khata document in Govindarajnagar, and the documents which clearly mentioned that the site under question was a revenue site. When is A khata for Revenue site illegal? Revenue site is the land originally meant for agricultural purpose, or green belt, on which people have built houses illegally without converting it from agriculture to non-agricultural residential purpose. In 2006, then-BMP commissioner Jairaj had issued a notice asking the officials to stop the issuance of khatas to such sites, supposedly because it was to be included in Akrama Sakrama. The A khata racket has now increased in the city because of the much-awaited Akrama Sakrama implementation, which will ‘save’ citizens by regularising the bye-law violations and deviations. To regularise the violations, the site or the house should have A khata. But in many parts of Bangalore, there is no A khata for revenue sites, which are occupied by people without getting DC conversion for the land. 1) Land use violation shall be examined with reference to the Master Plan as in force at the time of regularisation. 2) Change of Land use shall not be permitted in lands reserved for parks and open spaces, roads, agricultural purpose, except for the exemptions or specific provisions made in the Master Plan or Zoning Regulations. 3) No unauthorised subdivision or layout which does not have access to public road shall be regularised. In the last council meeting held in February 2014, the Commissioner had clarified to the council that revenue sites that have land use violations are not eligible to be regularised under Akrama Sakrama, but the sites that already have A khata will be regularised. After this, notably the demand for A khatas from BBMP has increased, only because having A khata means it will be regularised and becomes legal. This also means that the revenue site you have purchased that has A khata may not actually be eligible for A Khata, which might be cancelled any time. Check for DC conversion documents and other records even though you see A khata, to avoid trouble in future. Many councillors accused the officials of granting A khata illegally in Govindarajnagar and Rajarajeshwarinagar area, without even asking for betterment charge or conversion charge. Allegedly 7000-8000 khatas were issued in this fashion so far. They also accused the officials of favouring the rich builders by granting khatas for bribe, and asked them to issue khatas to many ‘poor people’ who have built houses and are living in the revenue ands for many years now. The councillors urged the Mayor to pass a resolution to grant khatas to all revenue sites in BBMP limits. The council hall was full of commotion at this point, with most corporators trying to prove their point, and explaining the ‘poverty’ of some revenue-site holders, including themselves. M Nagaraj said the people who hold B khatas and revenue site are so poor that they can’t even take loans, so they be given A khatas. He argued that BBMP will gain financially by conversion and betterment charges. The Mayor intervened and tried to say it was illegal to do so. M Nagaraj, to everyone’s astonishment, said it was okay to break the law for the interest of the BBMP. He even suggested that BBMP conduct khata melas for issuing khatas for revenue sites. “You have done it for others who are rich. Please do it for all revenue sites so that poor can benefit,” all corporators shouted in one voice. Ex-mayor Venkatesh Murthy too joined the chorus, by saying all revenue sites should be regularised with A khatas. Ruling party leader Ashwath Narayan Gowda said illegal khatas will make sure that Akrama Sakrama scheme will not fetch any money for BBMP as the violations will be regularised by the time Akrama Sakrama gets implemented. At this point, the Mayor and the Commissioner decided to form a committee and investigate all such khatas issued for revenue sites. The Committee will have Padmanabha Reddy and many other members. It will be given a fixed time to investigate the matter. The khatas given so far will be put on hold till this Committee gives its report. If the sites fall under Akrama Sakrama scheme it will be regularised later and the khatas will be given to the occupants. Murugesh Modaliyaar, the corporator of Adugodi ward, pointed that in a revenue pocket, nine out of ten sites have been given A khata and the 10th site has B khata. He urged the BBMP to grant A khata to such left over sites too. Much to his dismay, the Mayor replied that in such cases, all the 10 khatas will be scrutinised. Ashwath Narayan Gowda pointed that the documents and land records of the 110 villages merged with BBMP are still with the officials who were in CMCs then and now with the BBMP. The documents are not with BBMP yet, which makes transparency a tough call. Meanwhile, the BBMP has cleared the way for collecting betterment charges for the revenue sites already converted. Land owners in old wards have to pay Rs 200/ sqmt while in new wards it is Rs 250/sqmt as betterment charge. Paying the prescribed betterment fee will enable the landowners to obtain A khata for the properties that have DC conversion certificate. The A-B-(C) of A Khatha and B Khatha are becoming more and more complicated by the day. Here’s the latest from BBMP on conversion of properties in the B register and what it could mean. 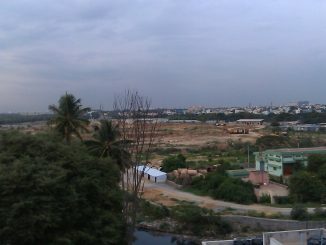 Bangalore’s governance has been captured by vested interests, say citizens. They have decided to protest if the government continues to neglect public welfare. When can we see the A khata roll out. Why are we totally ruining ourselves. Why should there be a conversion. Look at Sarjapur road. It is an extreme example of our greed and misery. Can all MLA’s who want the sites to be converted look at their children and say ” as a parent, I have ensured that my children and future generations will have a clean and safe environment to live in” . I don’t think anyone cares because today everyone wants money. Something that they cannot even use for ensuring a clean environment, look at the ministers walking in and out of hospitals. Greed begets misery.